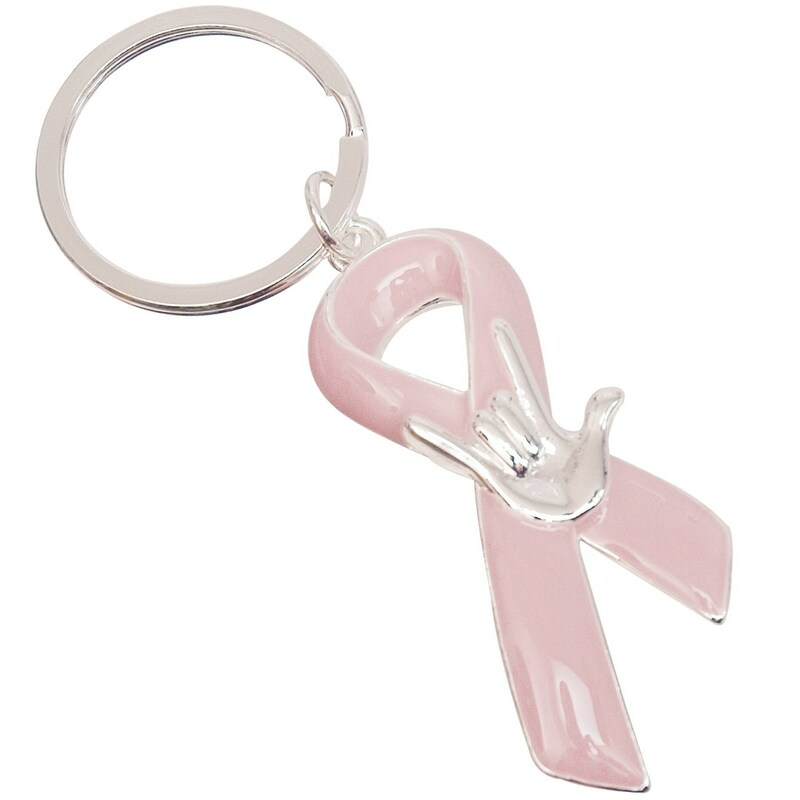 Promote breast cancer awareness with this silvertone and pink ribbon keyring. Sturdy 1-3/8 inch diameter ring ring stand the test of everyday wear while serving as a reminder, to yourself as well as others who may see it, to keep th those with breast cancer in our hearts and thoughts. At the same time, the ILY hand in sign language serves to promote deaf awareness and makes this suitable for the Deaf wearer or for a hearing individual in support of a Deaf person who is fighting breast cancer.